Large expanses of glass make amazing building facades. However, in the past, architects and glaziers have had to tailor their vision, due to stringent sizing capabilities of North American MSVD (Soft-Coat) Low-E glass. Vitrum Glass Group is the only glass fabricator in Western North America that can offers glass from all three major primary float manufactures, ensuring our customers have access to the products they require, without compromise. If oversized high performance glazing is a requirement of your next project Vitrum is equipped to fabricate insulated glass units using Saint Gobain’s Cool-Lite SKN 174 in sizes up to 98″ x 190″. This high performing glass offers an alternative to PPG’s Solarban 60 and Guardian’s Super Neutral 68 – but in a sheet size of 126″ x 200″, and is stocked by Vitrum in 6mm & 10mm thicknesses. All performance values are for centre of glass, tabulated data is based on NFRC methodology using the LBNL Window 7 software. 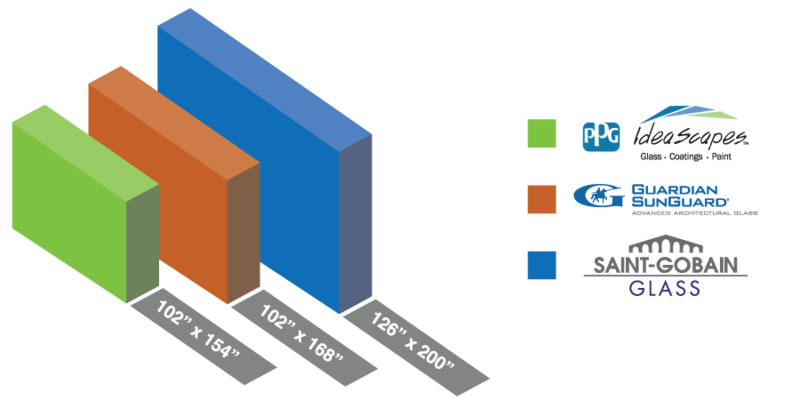 Comparison units are 1-inch (25mm) with ½” (13mm) airspace and two ¼” (6mm) clear lites Please contact Vitrum for custom glass combinations. 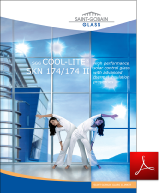 For more information on Saint Gobain’s Cool-Lite SKN 174, please take a look at the following brochure or request a sample kit today.